Seafarers on ships operating world-wide often travel for months through the world’s different climate zones. On longer ocean voyages shore-based medical care might not be available for several days due to the limited operating range of shore-based rescue helicopters and lifeboats. Ocean-shipping is in this respect only comparable to space travel. Ship safety can only be ensured in all circumstances by crew members who are healthy and fit for service. Seafarers therefore have to prove their physical and mental fitness required to work aboard a seagoing ship (fitness for sea service) in regular intervals. The Medical Certificates certifies a seafarer's fitness for sea service. The international STCW Convention dictates what a Medical Certificate needs to contain as a minimum. German Medical Ceritificates contain these minimum contents and therefore conform with the STCW Convention . Only physicians who are specially trained and qualified know what to look for in the medical fitness examination of a seafarer. 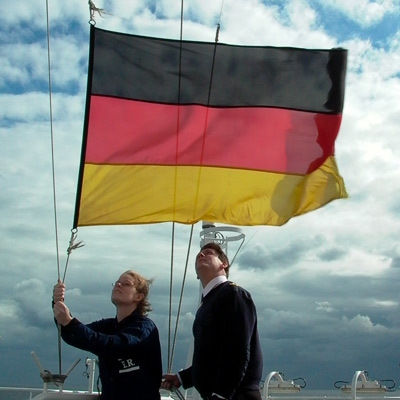 Therefore on principle physicians need to be authorized by the Maritime Medical Service of the BG Verkehr to perform medical fitness examinations for the German flag. We compiled a list of recognized medical practitioners for you. In order to work on board a ship seafarers need a medical certificate. They can choose a German or a foreign one. Seafarers holding a foreign medical certificate may work on German-flagged ships, if the certificate complies with the requirements of the STCW Convention. Conversely, seafarers holding a German Medical Certificate may also work on foreign-flagged ships. German Medical Certificates comply with international requirements of the Maritime Labour Convention (MLC) and the STCW Convention. The authenticity and validity of the German certificates can be checked at any time. medical fitness examinations are solely performed by specifically qualified, experienced and regularly trained physicians. This strict selection ensures a cintinually high quality of examinations. Please find a list of them under "recognized medical practitioners". The Maritme Medical Service, certified according to EN ISO 9001 and EMSA, centrally controls and monitors over 20.000 medical fitness examinations per year. The recognized medical practitioners are reviewed on the ground on a regular basis. The criteria for fitness for sea service is transparent and comprehensible. The requirements of the ILO/IMO Guidelines for the fitness for sea service are followed. If a seafarer is deemed unfit for sea service, his certifcate will be retracted. The Maritime Medical Service informs the shipowner in order that no unfit seafarer continues to go to sea. The electronic fitness for sea service directory prevents "doctor hopping". A lock flag in the system prevents an unfit seafarer from visiting several physicians and thus surreptitiously obtaining a medical certificate. In cases of a dispute about the unfitness of sea service an objection committee of practitioners or, one step further, the administrative court decides. The rights of seafarers are preserved with these constitutional procedures. The Maritime Medical Service is the central maritime-medical institution of the Federal Government. Being based in Hamburg it is the point of contact on location for any seafarer and shipowner.